Now you have an auto insurance claim and realize that YOUR insurance company is jerking you around, now what? Call a lawyer? Really, since when do you need legal advice to have a tail light fixed? I mean, seriously. You have a claim and they want to question you, record you, do an "investigation" that takes them weeks .... then paperwork .... then a deductible ... then take the car to a bodyshop "approved" by them ... then fix your car with used parts ... then they will raise your rates. Does it ever end? Come on! We have seen so many claims in disbelief realizing that MOST insurance companies treat THEIR OWN INSUREDS as garbage. It is as if consumers have to "beg" to have their auto insurance claim paid on time, regardless of what the policy says or what the actual state laws require. Can you imagine what the insurance company for the at-fault party will do to you? Is that what U.S. consumers should put up with? You are required to pay for insurance if you want to drive a car in all 50 states. Why is it that insurance companies can make your life a living hell when you need them and then turn around and wait for their premium? That is exactly what this website is about: consumer protection. What an insurance company can and cannot do. An auto insurance claim can be very difficult to deal with. A proper personal injury settlement in any given car accident can be hard to reach. This situation can leave consumers looking for guidance and answers. Consumers often don't know if they are getting a proper personal injury settlement or award. They don't know how to calculate pain and suffering the proper way. Many times the insurance company will settle their total loss for substantially less simply to put pressure on the unsuspecting consumer. If you are in any of these situations, you are not alone. As an ex-claim adjuster, now an attorney, I learned how the insurance claim process works and how you can protect your rights and get the proper compensation for your damages (increase your personal injury settlement and properly calculate pain and suffering). Insurance companies train adjusters to be effective negotiators in every aspect of a claim (whether you know it or not). They will use that training to benefit their employer: the insurance carrier. They will approve the repairs to your car with used parts (if you let them), cut your rental car early, and give you a low settlement for your total loss. They will also drag the settlement of lost wages and/or pain and suffering as long as they can, so you become desperate and settle for less. They do not explain what to do when making a personal injury claim or how to go about getting your damages fully compensated. 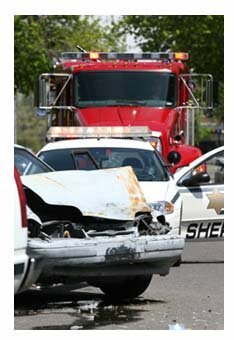 Dealing with auto insurance claims is often more "painful" than dealing with a car accident! Make no mistake, this is intentional. See the Insurance Institue of America website. Many people hate dealing with attorneys, and you should not need one to deal with a simple fender bender. The bigger problem is that, often, insurance adjusters and agents are flat out “jaded.” It is as if every consumer is out there to make a quick buck out of a bad situation, and the insurance company somehow will have to pay for damages that are not owed. There are, of course, consumers who will try take advantage of the insurance company and will try to profit from every angle. This only hurts the consumer as insurance companies will pass on the expenses to policy holders in the form of increased premiums. No one wants to pay for higher insurance rates. However, these consumers are the few “bad apples.” When honest consumers have a fender bender, car accident, personal injury claim, and/or a “loss”, the insurance company and their adjuster should not operate from a perspective that the honest consumer is out to get something they are not entitled to. Believe me, when it comes to any given auto insurance claim or personal injury settlements, you will be made out to be the bad apple. Adjusters are understandably suspicious, but making the insured consumer prove their damages in a way that is unreasonable should not be tolerated. Most consumers want their damages paid for properly and simply move on with their lives. They are not looking to profit out of a car accident, but they do want to be treated fairly. However, some insurance companies will push you to seek legal advice. They make this process very difficult and the average consumer does not have the tools to protect their interest. This problem is particularly compounded by the fact that most attorneys will not consider or take any issue regarding total loss, coverage, property damage, and liability if there is not an actual injury involved. This can leave unsuspecting consumers in a very unfair situation! 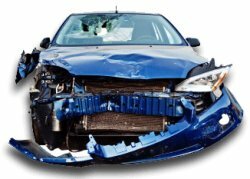 Here, we outline tips, strategies, and information so you can handle your auto insurance claim - please note, consult with an attorney before you do anything regarding your claim. Please see our personal injury settlements section here. This is general information and it is not legal advice. You should especially consider having your case reviewed by a local attorney if are injured or believe you could be injured. 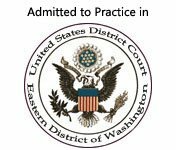 Fill the form below to find an attorney near you.